Our award winning salted caramel milk chocolate spread. The most luxurious spread in the world can be found in this modest jar. Made from 36% milk chocolate from Java, muscovado-based caramel and sea salt, this spread is rich and decadent yet contains 40% less calories than other chocolate spreads!! 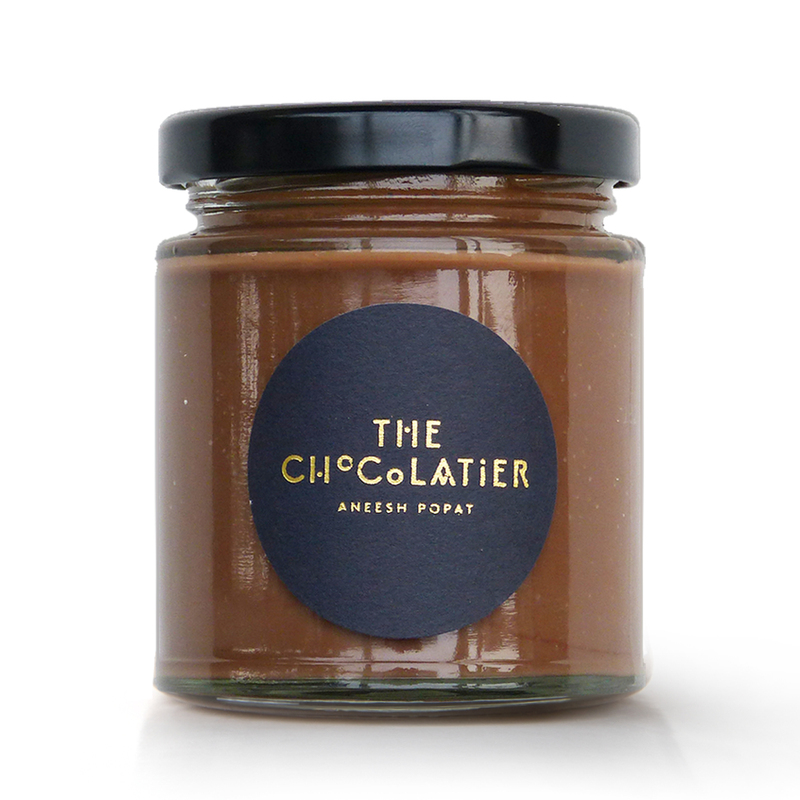 Delicious on toast, straight out of the jar or even whip up an amazing drinking chocolate simply by adding a spoon of our spread into hot water. Truly guilt free chocolate! Six weeks shelf life refrigerated irrespective of opening. Did you know? You can also sprinkle our salted caramel drinking chocolate mix straight onto your favourite desserts like tiramisu or vanilla ice cream to give some added flavour and texture! Why not even add some of our mix to your custard to make the most amazing custard you will ever try! Milk chocolate salted caramel spread (sugar, MILK powder, cacao, cacao butter, SOYA lecithin), water, muscovado, sea salt. Gorgeous, one to treat yourself to! One of the best hot chocolates I've ever tasted. Beautiful flavour.